Turn One-Time Customers Into Repeat Customers. Perfectly satisfied customers may purchase from another company the next time around. Why? Either they don’t remember or they perceive no difference between you and your competitors. Here are a few ideas on how to turn one-time customers into repeat customers. Before you deliver your goods or services discuss their goals. Then offer them your help to reach those goals. Give them something to remember you by; offer a promotion with purchase. Use promotions as a way to express appreciation. Or create a rewards program with a special gift after pre-determined amount of orders have been placed. Create an online community where your sales team and customers can exchange ideas about your goods or services. Send order confirmation emails and promotional emails that offer more ideas. Or use direct mail; some people pay more attention to printed material. 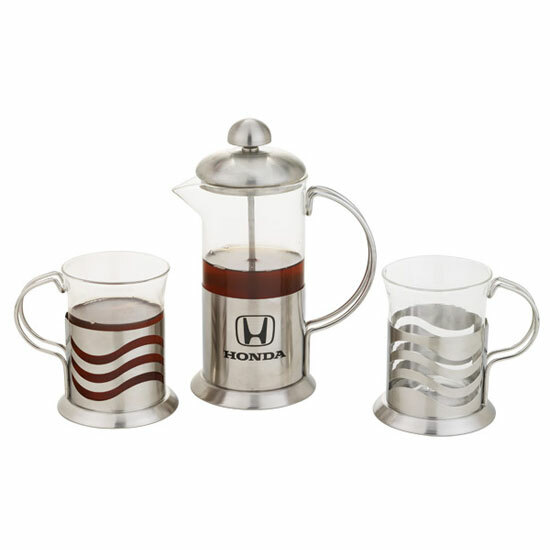 One of my favorite new items is the French-Press Coffee and Tea Set, as low as $12.99. It makes a great appreciation gift, promotional reward, or holiday item. It’s an impressive item to display your logo. Source: “From One-timers to Long-timers”, The Marketing Minute, by Marcia Yudkin.